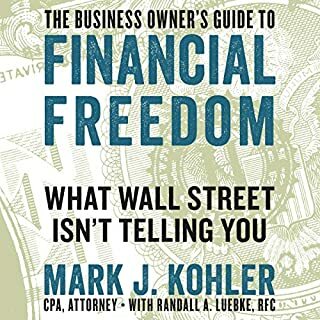 Tailored for small-business owners and entrepreneurs like yourself who are looking for long-term financial planning and wealth management, The Business Owner's Guide to Financial Freedom reveals the secrets behind successfully investing in your business while bypassing Wall Street-influenced financial planners. 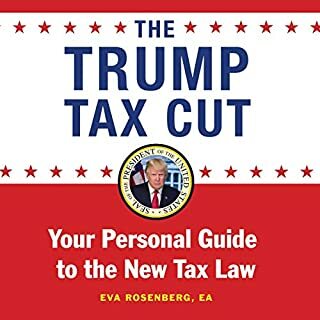 In this follow-up book, Look Before Your LIRP, he makes the case that, while a variety of LIRPs may help get you to the 0% tax bracket, not all will do so with the same efficiency or effectiveness. In fact, finding the right LIRP for your tax-free retirement plan can be just like finding the ideal spouse. Just as you likely had a list of qualities you were looking for in a life-long partner, you should have certain attributes and provisions in mind when looking for the ideal LIRP. MUST Consider as an option!!! This is a powerful story woven around one theme: Tax planning can change your life. Tackling the fundamental question asked by all taxpayers - How can I save on taxes? 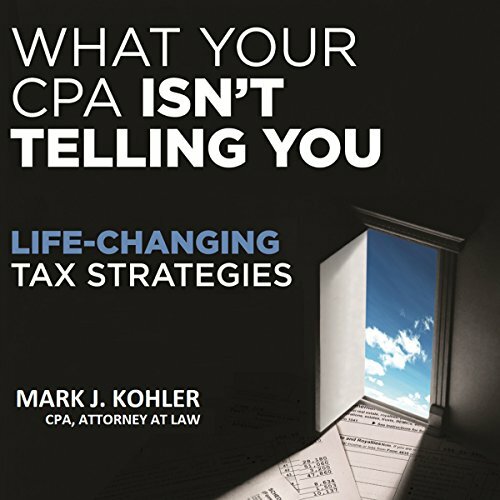 - attorney and CPA Mark J. Kohler empowers you to dismiss standard CPA viewpoints like "your tax payment is what it is" and "you just make too much money." Simplified through the mastery of storytelling, Kohler invites you to immerse yourself in the compelling tale of a typical family's tax awakening. 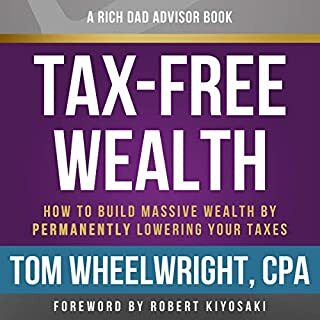 Through their journey, you'll discover critical but underutilized tax strategies to achieve huge tax savings, greater wealth, and ultimately, a winning pursuit of the American Dream. Please note: Not all of the appendices mentioned in the audio are included with the purchase of this title. It is hard to write a book about tax strategies and I give Mr. Kohler credit with the creativity of telling a story. The reviews on Amazon were much more positive so it may be a book that needs to be read. The sound quality was not up to usual standards although the author gave it his best, there should have been some editing. I found the story moved too slow with a payoff that was less then I hoped for. I liked that the PDF for Appendix B was available and that will be a good visual resource. I believe the recommendations to start a business andor do rental Real Estate is solid but takes a great deal of work. The major opinion on the self directed IRA as something "the Wall Street Machine" does not want you to know about is very questionable advice. Financial planners and investment people make less but CPAs and custodians make a lot more. I am not saying it can not work; but after researching it for my clients, there are many fees, traps, and hassles...be careful! It sounds great in theory to start a business or buy property inside a qualified account but you still have to follow through on making money. The great part of investing is you put up the capital and others do the work! 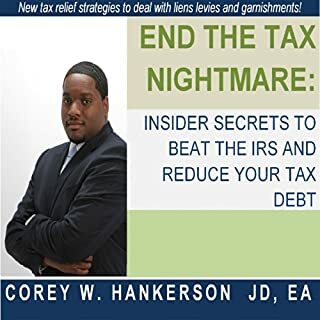 It is a very well written story, however he refers to what his previous CPA didn't tell him, and going over business plans for having a small business. He doesn't get into actual details that don't revolve around him, but often just states you need to ask your CPA. 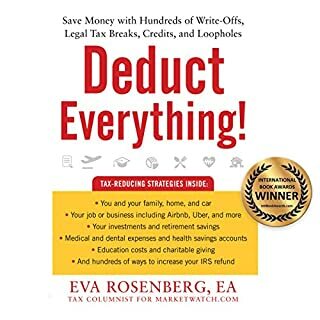 Has What Your CPA Isn't Telling You turned you off from other books in this genre? Not really, it did have a few good ideas, that he had followed and was given. I would have preferred his CPA to write the book. Would you be willing to try another one of Mark J. Kohler’s performances? Did What Your CPA Isn't Telling You inspire you to do anything? Seemed like a clever way to promote his business and digital products. This audio book was a great tease on ideas but you will need to go to his site for more details. Don’t get me wrong, love the ideas and I will be working with him. Good Appendix section....if I get it from him via email as stated in the audio book. Does anyone know how to access the appendices of this book? When I purchase a book, expect to be able to have access to ALL of the book, especially when the author refers to the appendix many times throughout... maybe web access somewhere? Would you try another book from Mark J. Kohler and/or Mark J. Kohler? What character would you cut from What Your CPA Isn't Telling You? I am a small business owner. I could not finish this book. For 45 minutes, the author talks about himself and his wife, trying to tell an engaging story that actually sounds like a skit on Christian radio. I never heard anything valuable AT ALL. Maybe after 45 minutes this book has something useful, but I could take no more than that. Note to author: If this book is supposed to TEACH me something, you can't expect readers to wait so long to hear something useful. Also, if your consternations about CPAs in the beginning makes it sound like you are talking about the boogyman. Seriously? Also, head up to the potential buyer of this audible book: The author reads his own book aloud, making mistakes at times, sometimes stopping to catch his breath after run on sentences. To Audible/Amazon - This is not what I expect from Audible, and I suggest this book be taken down. The positive reviews must be from friends and family of the author. Loved it! What a beautiful creation to share with the masses. I have learned so much. Thank you Mark & Team! The recording room surrounding could use sound absorbing pads to reduce echo. And record volume could tune up more. I have to use external speakers and tune volume very high for listening on my car. Overall this is a good Audiobook. And I’m going to try out their email, website and Other services base on what I heard in the book. Tax savings ideas in a story format...that will keep you interested from start to finish. 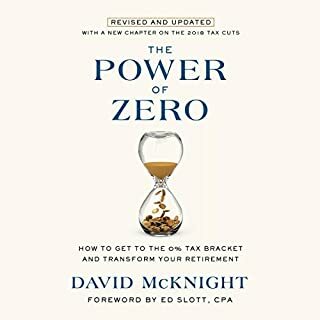 This book acts as a catalyst...to creative thoughts on tax planning.